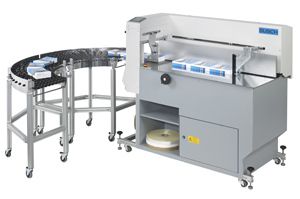 Fully Automatic Banding of Materials following Guillotines or Folding Machines.
. . . The Busch ZFB 32 series can also be purchased as an Inline unit for $58,750 USD. Ask a Best Graphics Sales Representative today: (800) 236-7603! 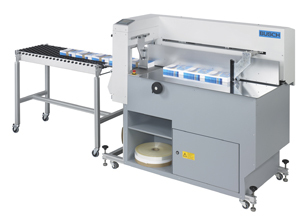 Contact us for more information on our Busch Multi-Bander with Pneumatic Pressing capabilities, by clicking the blue “Get More Info” button to the right. Or, be sure to download a PDF brochure, below!